Templar's genetics are spectacular from both dam and sire with endless possibilities. 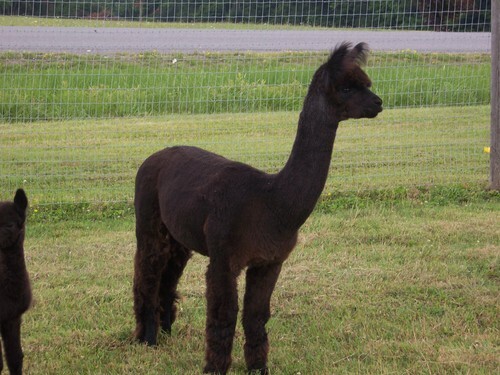 Revelation's bright fleece is soft to handle with consistent dark coloration and impressive staple length. She has eye-catching conformation. Susanna is a large framed girl with excellent conformation. 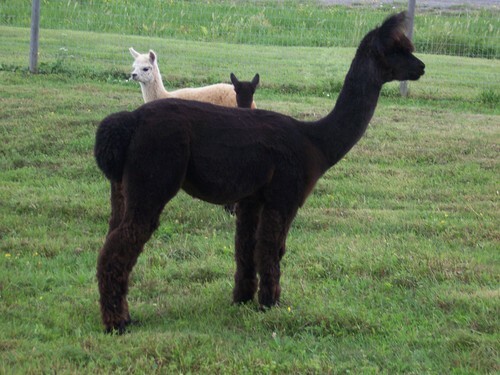 Her soft dense fleece appears to be bay black until a closer look reveals the dark silver grey fibers throughout. Her sire, Dark Knight's Templar, placed first in the dark silver grey class at the Empire Extravaganza Show. Her dam, Brookhollow's Revelation, has rare black Bolivian genetics and her pedigree is loaded with silver grey, rose grey and true black. 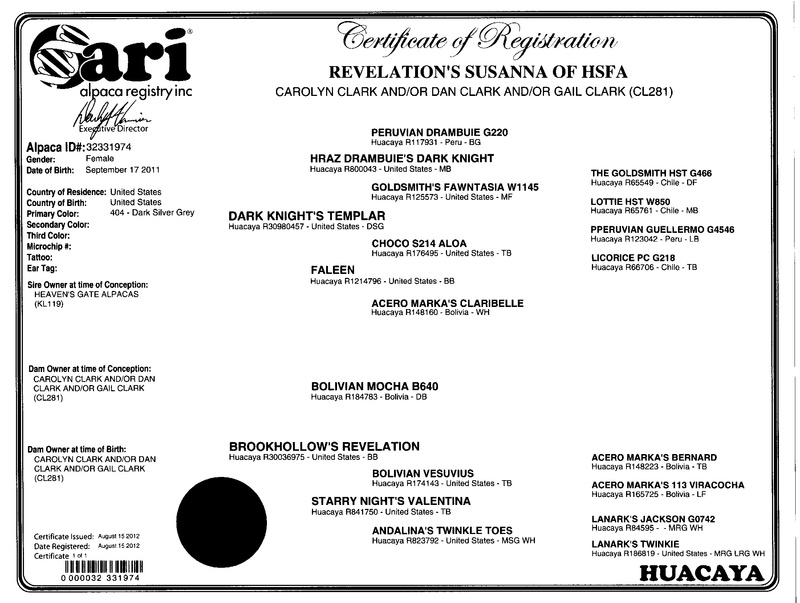 Susanna's sale includes a breeding to any Heavenly Sunset herdsire, including full-Peruvian Invincible's Casper. 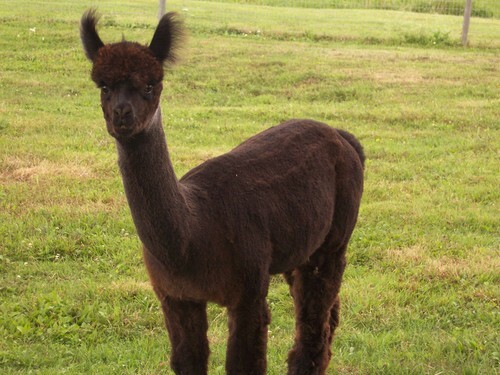 His incredibly dense fleece measured a 20.6 micron count at 5 years old. Susanna is open because we needed to halt our breeding program in order to downsize the herd. However, we will keep her here on the farm for the buyer until she is confirmed pregnant.